Join us for a great time of hanging out with your fellow IDs! There will be food, games, and fun. BYOB. Event will be held in West Nashville (Whitebridge and Charlotte Ave.) Location will be sent with signup three days prior to the event. Location sent with signup 3 days prior to the event. "Crash Course in Video Production and Editing for Learning Projects"
As talent development professionals, we strive to meet our learners where they are at. Professionals in a wide variety of industries have made the claim that “Video is king of content.” Instructional designers are already tasked with mastering multiple tools to create content in a variety of modalities, sometimes with little to no formal training. So how can we satisfy our learners’ desire for video content if many of us have never acquired the skills to design and build a video? This mini-workshop will provide a high-level crash course in tool-agnostic video production, editing concepts and terminology, discussion around what tools are out there and at what price points, and we will spend some time practicing building our own videos. Whether you are a consultant, learning manager, instructional designer, or just have an interest in learning more about creating video-based content, this mini-workshop will not disappoint. To get the most out of this session, please bring a laptop, create a free account on biteable.com, and watch this short video about Biteable in advance of the meeting. Location is near I-440 and Nolensville Pike. Chandler is an Instructional Designer at Aspire Healthcare. 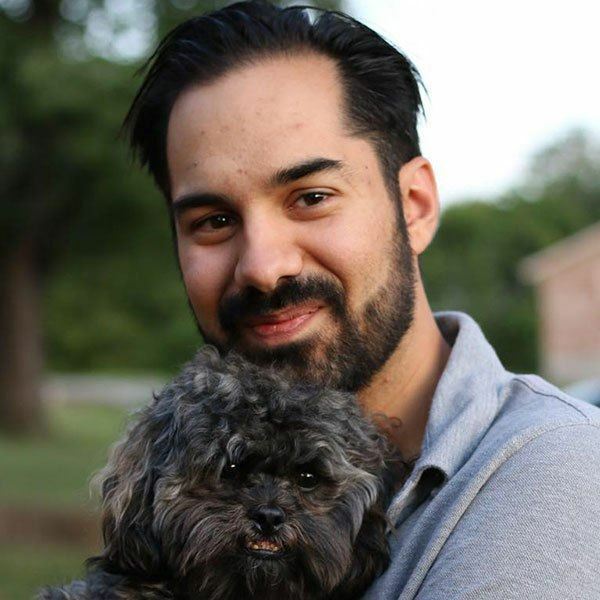 He is a Nashville native who studied professional audio at Middle Tennessee State University and holds a master’s degree in Instructional Technology from Lipscomb University. Creating interactive and multi-media rich e-learning is Chandler’s passion. He loves leveraging emerging technologies with age-old pedagogy to construct immersive learning environments. 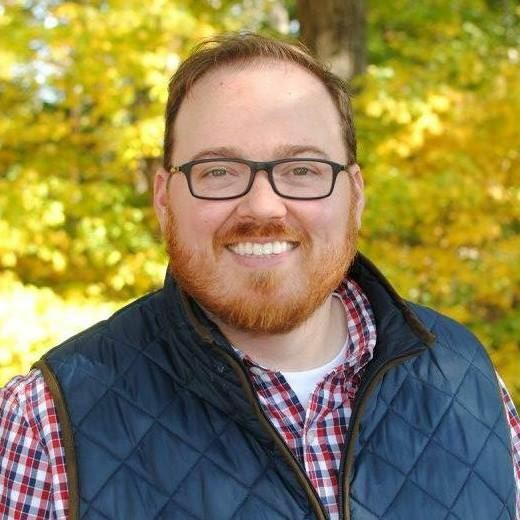 Luke is a senior instructional designer at naviHealth where he consults on, designs, and develops classroom, virtual, and e-learning experiences for corporate, clinical, IT, external client, and product audiences. He has worked in a variety of sectors including higher education, non-profit, and corporate with backgrounds in educational conference planning and execution, assessment, competency model development, e-learning and LMS management, learning experience design, and group facilitation. How much are you willing to invest in your next career transition? Are you aware that many career coaches advocate using video branding to accelerate your next transition? Would you invest $1,000 in your video brand? Or 600? Or $400? The Association of Talent Development (ATD) Nashville chapter is once again partnering with the MTSU Film Guild to provide expert instruction in video branding for you to accelerate your career transition. The session is form 9:00 am-4:00 pm on Saturday May 18, 2019. Attendance is required from 9:00 am-12:00 pm for the instruction and executive coaching from ATD Nashville board members and volunteer experts. The result is that you will have a professionally produced copy of your 60-90 second video branding digital document for posting on LinkedIn or any digital platform. Your investment is only $130 for ATD Nashville members, $200 for non-members, or $50 for MTSU Students. This includes the workshop, an edited video, and a professional headshot. Proceeds will be split between the MTSU Film Guild and ATD Nashville. Pre-registration is required. In 2019, we will meet every other month, on the third Monday, from 6:00 p.m.- 7:30 p.m. at Cool Springs Brewery in the back room, or upstairs, at 600A Frazier Dr #135, Franklin, TN 37067. Connect with your colleagues and enjoy a fun, family night with ATD Nashville at The Nashville Sounds and their new ballpark. We have secured a block of tickets for ATD in the club level (can anyone say padded seats?). Bring your work colleagues, friends, and family to the game and enjoy a fun evening watching baseball in Nashville. Tickets are limited and are first come, first serve. Tickets must be purchased by May 11th. Tickets are open to ATD Nashville members only through April 25th – remaining tickets will be open to non-members after April 25th. Kids 2 years and under are free (must sit in your lap). In this session, you will explore the 5 tools L&D professionals can use to create incredible experiences. You’ll learn the basics of how to develop personas and use those personas to choose your learning approach. You’ll learn how to leverage user research tools like empathy interviews and usability studies to hone your solutions throughout the development cycles. You'll even get the chance to practice creating an empathy interviewing script you can take back and use! All combined, you’ll have a brand new set of tools and approaches to continue creating solutions that address business needs, but in a way that learners actually want to use. 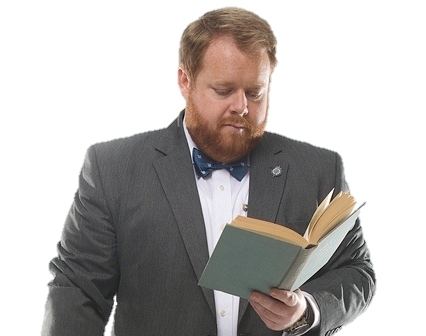 Matthew Daniel is a high-energy, no-holds-barred, tell-it-like-it-is learning technologist and learner experience advocate working in and with some of the largest and most innovative companies across the country (including six years in one of the nations top ten banks – Capital One). While he’s implemented LMSs, LCMSs, Social Learning Platforms, and Curation Tools– his biggest success comes not in the implementation of the system, but in helping learning professionals figure out how to take their existing skills and experience and adapt to the digital age in a realistic way. Learn, discover, and apply real-life lessons to leading through a time of organizational transition. Dr. Trish Holliday will share her own leadership transition lessons, including an administration transition, and how you can apply those in your own leadership journey. Dr. Holliday’s commitment and passion for helping professionals reach their greatest potential is rooted in her experience as an adult educator and certified executive coach, and her early years in full-time ministry as a missionary in Tennessee Appalachia. As a successful change agent, facilitator, and storyteller, she is often asked by executive leaders to undertake complex problem solving opportunities by bringing people together and helping them discover innovative solutions, and develop the leaders needed to execute. As an award-winning leader, Trish is the cover feature in the 2019 March issue of the National Chief Learning Officer Magazine. She was named one of the 2019 Women of Influence by the Nashville Business Journal. Trish received the International Public Management Association for Human Resources (IPMA-HR) Warner W. Stockberger Achievement Award in honor of a lifetime of outstanding contributions toward the improvement of public human resources management. Trish was awarded the Tennessee Personnel Management Association (TPMA) Richard L. Stokes Personnel Achievement Award for innovation and high standards in Human Resources Management. Other awards received are Corporate Learning Network Learning Leader of the Year, the CLO Learning Innovator Leader of the Year, and the HR.com Top Corporate Leader for Leadership Excellence ranked 2nd worldwide. She is a graduate of Leadership Tennessee and Leadership Middle Tennessee. 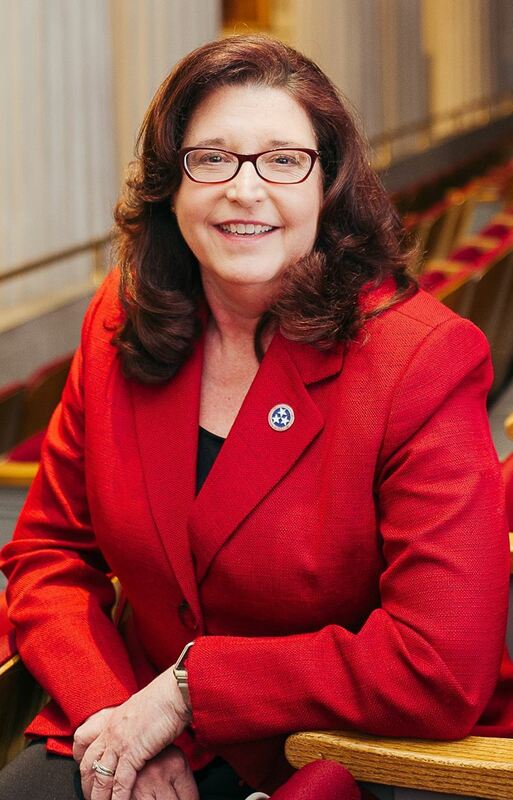 Trish serves as an Adjunct Professor at both Lipscomb University and Trevecca Nazarene University. She teaches Entrepreneurship and Innovation in Education as part of the Doctor of Education program at Lipscomb and prepares future leaders in human resources leadership and management, and personal leadership development at Trevecca. Trish is an inaugural member of the TEDxNashville Society of Fellows. Trish is a speaker at the local, national, and international level. She serves on various non-profit and academic boards and enjoys giving back to the community. Trish was a founding board member of the non-profit organization, Impact Nashville and currently serves as the community liaison. 21 Mar 2019 Leveraging Icebreakers That Do More Than Break the Ice! 15 Mar 2018 Chapter Meeting - As Long As You're Green, You're Growing! 13 Apr 2017 Chapter Meeting - The Learning-Research Quiz Show: Insights, Revelations, and Myths to Avoid at All Cost! 08 Sep 2016 OD-SIG: High Performance Teams- What Actually Works! 16 Jun 2016 Network for Success! 10 Sep 2015 September 10 OD-SIG: When Organizational and Professional Development Hits HABIT: Tips and Strategies for Driving Culture Even Over the Deepest Ruts! 13 Aug 2015 August 13 OD-SIG: Transforming Individuals and Systems- What Makes the Soft Stuff Harder than the Hard Stuff? 20 Nov 2014 November Chapter Meeting: Mark Kenny on "Incorporating Experiences into Learning Programs for Deeper Understanding"
06 Nov 2014 The OD-SIG celebrates OD and a successful 2014. Join us 5:30 November 6 at Arrington Vineyards!! 23 Oct 2014 October Chapter Meeting: Chad Harrison on "Improving Performance Through Positive Reinforcement"
02 Oct 2014 October 2, 2014 OD Special Interest Group Meeting: Vanderbilt Leadership and Organizational Performance- "Lessons Learned"
18 Sep 2014 September Chapter Meeting: Andy Whitaker on "Tracking Learning with Tin Can (aka Experience API)"
21 Aug 2014 August Chapter Meeting: Dave Delaney on "Networking Techniques for the Digital Age"
07 Aug 2014 August 2014 OD Special Interest Group Meeting: "Performance Management- Not Just A Score Anymore!" 17 Jul 2014 July Chapter Meeting: Angie Carter & Stacy Morse on "Best Practices for eLearning Success"
19 Jun 2014 June Chapter Meeting: Dew Tinnin on "Getting Buy-in From Your Audience"
15 May 2014 May Chapter Meeting: Rob Bateman on "Leadership and the High-Performance Workplace"
17 Apr 2014 April Chapter Meeting: David Kelly on "How Technology is Changing the Future of Learning"
20 Mar 2014 March Chapter Meeting: Ajay Pangarker on "The ROI Lie: Why It’s Undermining E-Learning and Training Credibility"
16 Jan 2014 January Chapter Meeting: Madan Birla on "Presenting Your Learning & Development Ideas and Program to Senior Management"
19 Dec 2013 December Chapter Meeting: Jackie Schlicher on "Techniques from the World of Improv Useful in Training"